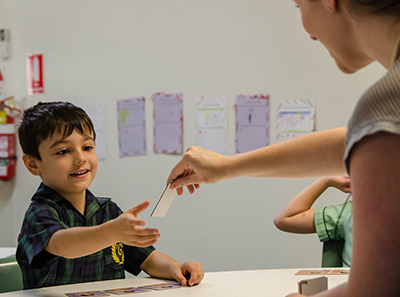 Located in Brisbane’s western suburbs, Glenleighden is a specialist school supporting children and young people with disability for whom language is their primary disorder. It is the only school of its kind in Australia, providing comprehensive, multi-disciplinary programs through a combination of teaching and therapy. The school’s team comprises teachers, speech language pathologists, occupational therapists, physiotherapists, a music therapist and psychologist. Teachers implement the Australian Curriculum with educational adjustments to support each student’s academic achievement, while therapists target skills underpinning the curriculum, as well as addressing barriers to participation in everyday life. Can you tell us how the Glenleighden School came about? The school had its origins in a self-help program that was initially conducted in the home of the Association’s founder President, Mancel Ellis Robinson. 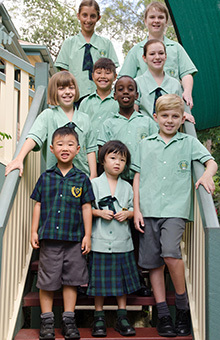 The Glenleighden School was established in 1979 on its present site at Fig Tree Pocket and received its Approved School Status as an independent special school in 1982. We specialise in language intervention, nurturing and developing children with a language disorder. Many parents who had previously been told their child had few options for ongoing development and education, have seen them go on to achieve both academically and personally under the support of our expert staff. We foster lifelong friendships. Our students are supported to develop independence and cope with the expectations of school. 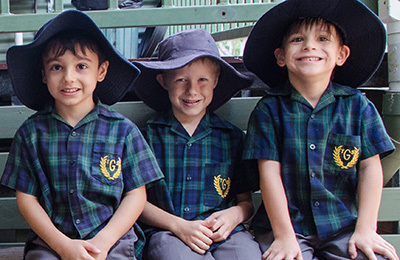 Glenleighden provides a platform for students to confidently connect with peers and develop fundamental life skills, a positive sense of identity and self-efficacy. We offer a supportive community. Our families frequently report a sense of relief upon finding themselves in a community who understand and specialise in language disorder. For many families the journey to Glenleighden has been challenging and in some cases involved relocating from afar to give their child the best chance to grow and achieve. Our parents and friends meet regularly to support each other along the journey. We offer pathways into the workforce. Older students are supported to complete regular placements including working on site in our own Cafe to prepare them for employment. Many of our Year 10, 11 and 12 students are supported to complete certificates and are offered employment opportunities while also attending school. Securing ongoing funding to support our school remains a challenge, in addition to the low awareness of language disorder. We know that 1 in 14 children will have a language disorder which means on average there will be two children with a language disorder in every classroom. These children need additional support to thrive and many would be a great fit for Glenleighden. We wish we could accept every family affected by language disorder to benefit from the transformative impact our school can bring, but limited funding does not allow it. One of the biggest misconceptions about Independent schools is the perception they are elitist and cater only for students with strong academic skills. At Glenleighden we welcome all students from different backgrounds and abilities to become part of our learning ‘family’. We are proud to share the educational journeys of our students and support them in reaching their full potential through unlocking their ability to use language. Where do you see your school in five years’ time? 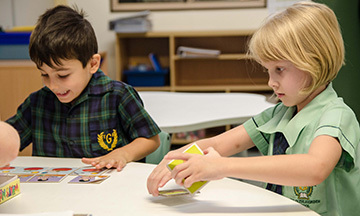 We already pride ourselves on being the best school for children with a language disorder in Australia. In 2017, we are looking to aim higher and become Australia’s best school. By 2023, we hope to be sharing current school based research on our pedagogy, therapies and curriculum with the world. Can you share a recent school achievement that you’re particularly proud of? There are so many recent achievements it is hard to name one! From our wonderful staff and parents participating in the Gold Coast Marathon to raise awareness of language disorders through to student performances in practice sessions for our annual concert, our community always seem to rise above and beyond what is required at all occasions. If I had to highlight one initiative, it would be the introduction of “Food School”, a program driven by enthusiastic staff with great success. We noticed that several of our younger students were reluctant or limited eaters, which affected their nutritional intake. We were fortunate to be able to offer a program based on the principles of the Sequential-Oral-Sensory (SOS) feeding program to all students with mealtime difficulties. This program provided a fun non-threatening introduction to trying new foods and has already broadened the eating habits of students at school and home. If money was not a constraint, what’s an initiative you’d like to implement in your school? I would like to see the expansion of campuses across Queensland and Australia so that all students were able to access the services of Glenleighden to change their lives for the better. Early intervention is particularly key to maximising student outcomes and it would be wonderful to expand our abilities to provide support for younger students no matter where they were located. I’d also like our school to engage in meaningful dialogue with the Aboriginal and Torres Strait Islander community to explore ways we could establish culturally appropriate methodologies to support students with language delays due to otitis media. With greater funding I believe there is enormous potential for The Glenleighden School to make significant and positive changes to the Australian educational landscape.